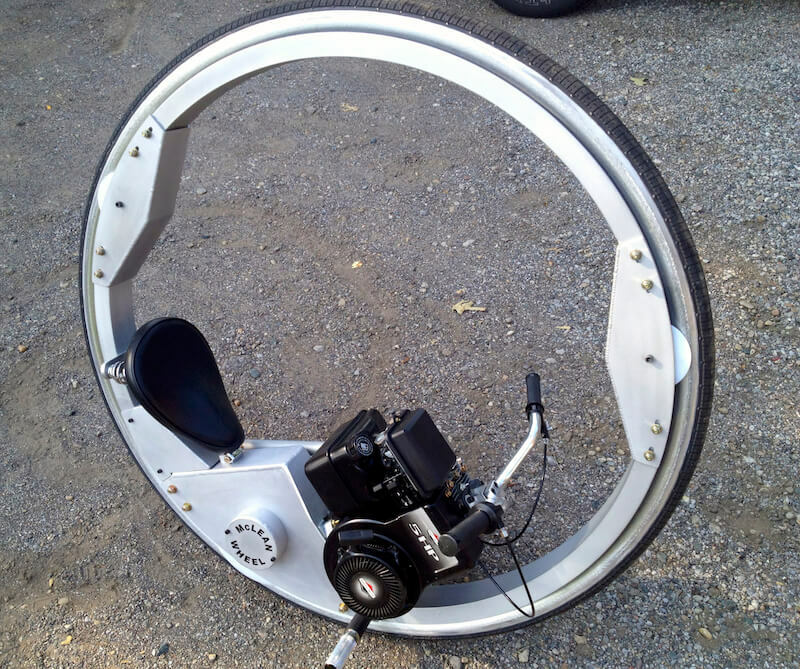 My friend, Kerry McLean is probably best known for his one wheel monocycle, the 5hp McLean Wheel monocycle and the V8 powered Rocket Roadster monowheel. 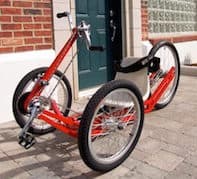 The monocycle is but one of the MANY really cool machines Kerry has designed and built over the years, including hot rods, an all electric car, a motorized barstool, and many different sized monowheels. Kerry McLean is an American inventor. He comes from a family of mechanical geniuses. His Father helped design and build the very first personal helicopter. Kerry followed a similar path when he worked in the experimental engine department for a top jet turbine engine manufacturer. Kerry has always thought WAY outside of the box! He is an extremely talented and gifted artist, designer and builder. 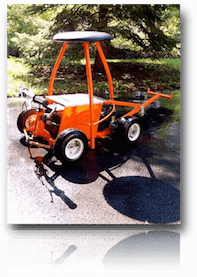 This site highlights only a few of Kerry's many motorized (and pedal powered) creations. We'll continue to add video clips and photos that we hope you will find interesting.